↑ HST Program Office (2003) (PDF). Hubble Facts: HST Orbit Decay and Shuttle Re-boost. Goddard Space Flight Center. 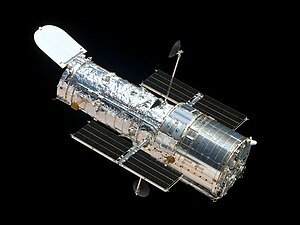 http://hubble.nasa.gov/a_pdf/news/facts/sm3b/fact_sheet_reboost.pdf۔ اخذ کردہ بتاریخ May 12, 2009.